Links in this post are affiliate links. If you shop through my links, I do earn a small commission. Thanks in advance if you choose to use my links and help support this blog. In the past months I have purchased and been sent quite a few high-end contour (contour & highlight) palettes. Most of those palettes are pretty pricey, so I began to look around to see if I could find any comparable palettes from the drugstore. We all know NYX has a really nice one, I actually purchased that for one of my girls a few years ago and it's a lovely palette. But that one is $25 and I was looking for something more affordable, something a little more acessible and under $20. 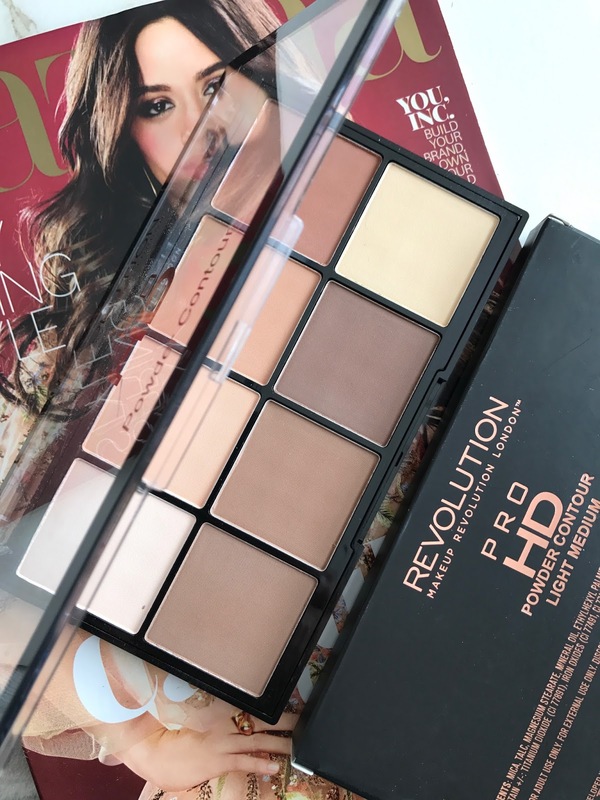 Enter the Makeup Revolution HD Contour Palette, which I spotted while standing in line at Ulta a few weeks ago. The MAKEUP Revolution HD Contour Palette in Light Medium features a mix of highlight, bronzing and contour shades. 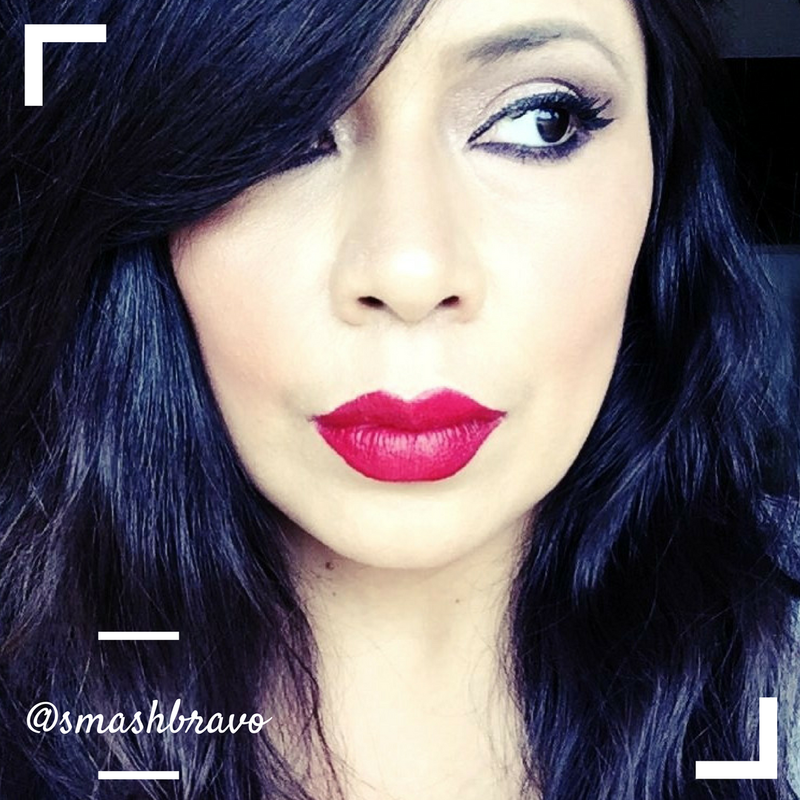 There's a great bronzer shade that has a red undertone, which gives your skin a true sun kissed look. There is a perfect banana shade, and three other shades to highlight and help cleanup contour lines. I own a smaller Makeup Revolution contour palette which is only $15 and I love it. When I saw this huge palette with so much more product, for only three dollars more, I was super stoked. BTW: This product is priced at $18 which automatically qualifies it for the $3.50 off coupon at ULTA, Meaning that this will only cost you $14.50. Sweet! Just check out how much product you get in this palette, these pans are HUGE. I've been going back-and-forth between this palette and a few of my more high end ones and I have to say that I am very impressed with this more affordable contour palette. The powders in this palette are so soft and silky, they blend right into the skin and never sit on top looking powdery. So far, I've not experienced any patchiness when using this palette and love the coolness of these shades. Anytime I use this palette, I feel like I am extra tanned and that my contour is definitely more noticeable. It's because the contour shades in here are cooler and pretty pigmented. My advice would definitely be to start off slowly when using the contour shades in here, because of that pigmentation. The shades in the Makeup Revolutio HD Contour Palette lean more on the cool side, which might not be everyone's cup of tea. Personally, I am always looking for cool contour shades. Also, if you're a light Medium skin tone, the Light Medium palette might be too dark for you. I am a solid medium and find that there is one shade in here that's way too dark for me. But online I have seen that there is a lighter palette and in stores there was also a deeper shade. Not sure why the deep is not currently online, but it was in the same display that I found this palette on. With 4 highlight shades, 1 bronzer shade and three contour shades, I think this palette is a total winner. Mostly, I love how affordable and accessible this is for only $18. And, don't forget to use the $3.50 off coupon a Ulta to bring it under $15!